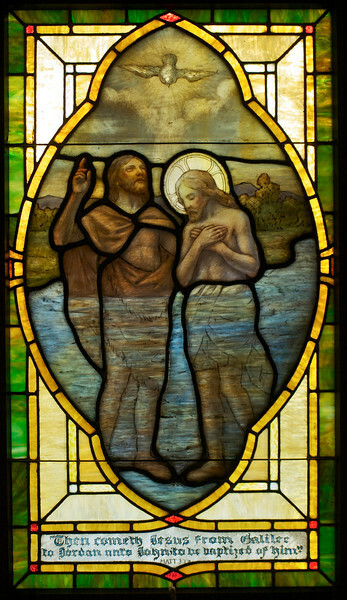 The baptism of Christ by John the Baptist. I find this window odd but quaintly appealing. The artist was trying to convey an underwater effect, apparently. Artistically it may be among the least successful of the windows but I like it.